Bali Traditional Tour They perform Legong dance and Barong dance. 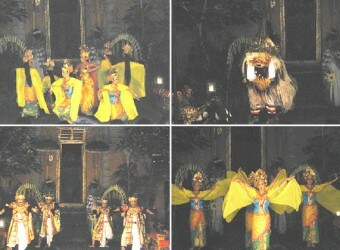 Both of very famous and basic dance in Bali. Legong dance is Love and emotional, Barong dance is great beast dance. Most of dance in Bali are connected to Hindu rituals.